Former Chief Minister and People’s Democratic Party President Mehbooba Mufti has expressed serious concerns over the alleged selective targeting of the Muslim community in Jammu region. 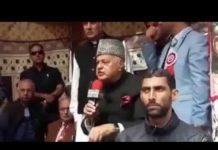 Addressing a press conference Sunday, Mehbooba highlighted instances of how the community is being targeted and harassed. She asked the Governor Malik’s administration to take immediate measures to restore the confidence of this vulnerable community in the system. She said that selective eviction notices were served to 33 nomadic families in Jammu after the collapse of government and as recent as December 2018, an anti-encroachment drive against Gujjar and other marginalized Muslim families in Jammu was initiated. All this despite existing directives issued by her as the Chief Minister in February 2018, whereby no tribal community should be disturbed or dislocated till the time the state government can formulate a tribal policy. The directive had also said that if any such an eviction drive was necessary, it should be done after consulting the tribal affairs department. She said that Muslims of Jammu are being openly threatened with situations like the partition by senior members of extremist and communally motivated campaign such as “Ikk Jutt Jammu Maha Adhiveshan (The Save Jammu Crusade)” are being organised that reportedly talk about the dangers posed to the people of Jammu from the growth of Muslim colonies in and around Jammu, and how it is a concerted effort to change its demography. These are reflective of the mindset of the perpetrators of such bigotry, she said. 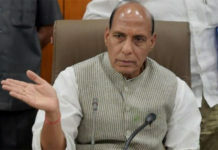 “These extremist elements have created fear among fresh settlers by physically targeting individuals in isolated incidents so that they don’t plan permanent settling in Jammu. This is what they have done during the past as well, she said. She pointed out that that circle rates in Sunjwan Bathindi areas have been raised to 1.5 crore per kanal while as in chawadi it is 65 lakh per kanal. This she said, has been done is a deliberate attempt to make a purchase of land in areas being inhabited by Muslim in particular difficult. Attempts are being made to include all Muslim areas under Jammu municipality so that constructions are stopped on all non-proprietary land and without permission, she added. She said that the party will do everything to voice their concerns and highlight any bias and marginalization of Muslims perpetrated by the state. She warned the Government that giving in communal designs is like playing with fire in an already politically fragile state. “Any tinkering with the minorities in Jammu will have a cascading effect in Kashmir and the situation can go out of control. The governor administration must, therefore, be cautious in dealing with this matter”, she said.